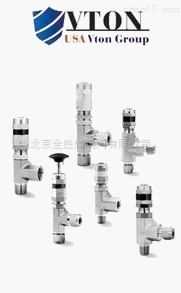 Welding high-pressure safety valve is widely used in high-pressure natural gas pipelines, petrochemical pipeline, and natural gas compressor, natural gas filling machine pipeline system, pressure take-off exhaust, protection system piping and equipment safety. Suitable medium: CNG, water, gas etc. Material: 20#, 1Cr18Ni9Ti, 304, 316, 316L, 12Cr1Mov etc. China Petroleum Natural Gas Group Company, Shenzhen airport oil filling station, Beijing gas Refco Group Ltd, Chongqing gas group, Henan gas Limited by Share Ltd, Xinjiang gas (Group) Co. Ltd., Chengdu City Gas Co., Ltd., Taiyuan coal gasification (Group) limited liability company, Xinjiang Guanghui industry Limited by Share Ltd.